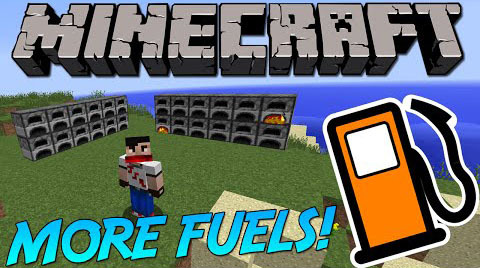 More Fuels Mod 1.12.2/1.11.2 saves you when you run out of fuel in your survival. It allows different items to be used as furnace fuel which will make things way easier. All you need to do is to burn your prized Dragon Egg. The ability to use many items as furnace fuel. A full list of burnable items and their burn times in ticks and seconds is avaliable.